The small town of Eastbrook, Maine seemed like the kind of close-knit community where newlyweds Dean and Elizabeth Montgomery could begin their lives together, and the 1930s Victorian seemed like the house they'd always dreamed of owning. The only condition for purchasing the property was that it was sold in "as-is" condition. But when the couple arrived in Eastbrook, they received anything but a warm welcome from the local residents. And when they realize that as-is condition meant that the previous owner of the house had left every worldly possession behind, the dream of the small town life starts to take a mysterious turn. Day after day, Dean and Elizabeth uncover more truths than they could have ever imagined, or ever wanted to know about the secrets that were hidden in the small town of Eastbrook. And as the neighbors become growingly hostile with every encounter, this young couple searches furiously to uncover what the residents in this town are trying to hide. What they find instead is that the home they thought they were getting a good deal on had a much higher price than they could have ever known, and that secrets are better off hidden. Dean and Elizabeth Montgomery are newlyweds embarking on a new adventure. A new town, a new home, and a new start in life with hopefully a growing family. Their new home is ideal from all appearances, but looks can be deceiving in The Empty Room by Sarah J. Clemens. Dean and Elizabeth met in Chicago and had a whirlwind romance. After getting married, they decide to relocate to a small town in Maine. They arrive in Maine to find their home is fully furnished with the previous owner's belongings. Excited to be starting a new life in a new town, Elizabeth is disappointed by the reaction from the town's inhabitants. No one openly acknowledges them except with oblique references to not delve too deep into hidden secrets. Eliminating the negativity she's receiving around town, Elizabeth decides to focus on the house. She and Dean explore and find that each room is lovingly furnished, except for one room, an empty room. Why is that particular room empty? The more Dean and Elizabeth try to uncover the mystery of the empty room, the more strange things become around town. What is the secret of the house and that empty room? I found The Empty Room to be a relatively fast-paced and easy read. I enjoyed the pop culture references, such as Dean calling his elderly female neighbor "Mrs. HaWiggins." 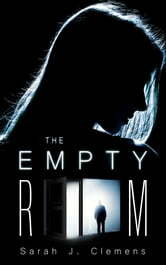 The Empty Room combines elements of a mystery, psychological suspense, and much more all in one quick read. (No, I'm not going to reveal the more...read the story and discover it for yourself.) If you're looking for something a little different to read then you may want to grab a copy of The Empty Room to read while wiling away the hours on a lazy sunny day. Disclaimer: I received a free digital copy of this book for review purposes via Reading Addiction Virtual Book Tours. I was not paid, required, or otherwise obligated to write a positive review. The opinions I have expressed are my own. I am disclosing this in accordance with the Federal Trade Commission's 16 CFR, Part 255: "Guides Concerning the Use of Endorsements and Testimonials in Advertising." The car grumbled to a stop at the end of the gravel driveway. The three-day car trip was finally over. The gas station food and bathroom stops were all behind them. They were home. The house might have been filled with someone else’s belongings, but they owned it now. As though looking at a piece of abstract art, Dean and Elizabeth both leaned forward in their seats toward the dash and squinted from inside the window of the car. Their eyes moved from left to right, making sure to take in every detail that first met their view. "It's gorgeous." Elizabeth peered out from beneath the windshield. Thank you so much for hosting The Empty Room on your blog.